When thinking of artists such as Picasso and Galileo, how many of them created internet of things-based art? 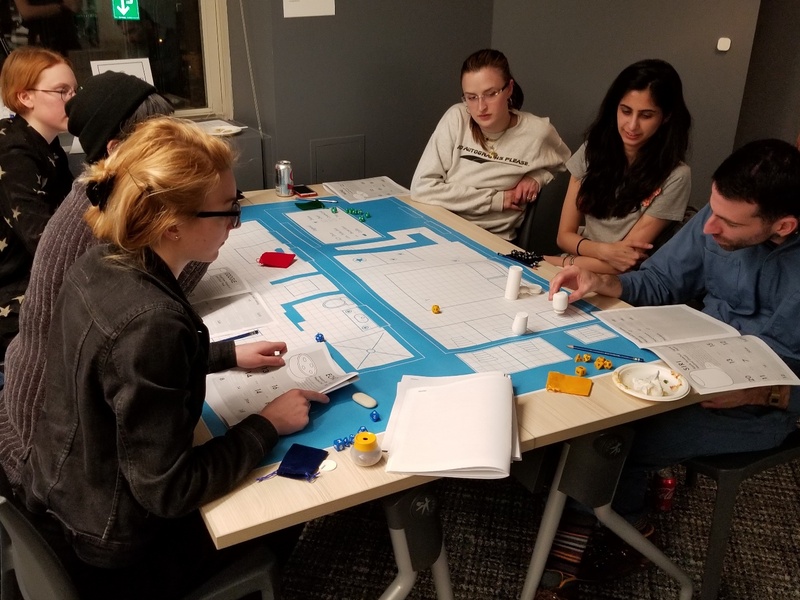 On Monday, March 5, the Chicago Connectory hosted the School of the Art Institute of Chicago (SAIC) for an IoT-related art exhibit called “A SymbIoTic Studio.” Here, five pieces of art were on display, focusing on the relationship between art and IoT. The event kicked off with an introduction to the space and the connection between the Connectory and the SAIC. Bosch Innovation Consultant Molly Haigh said that this partnership fosters the type of co-creation and innovative environment that the Connectory strives to establish. From here, students and attendees explored the artwork spread throughout the Connectory, with each piece telling its own story. One piece by recent SAIC graduate Dylan Fish called the “Fabric File Format” utilizes Jacquard looms to weave custom bolts of cloth that function as analog storage devices. For context, the Jacquard loom was the first machine to successfully use punch cards for programming binary data into a machine. The loom has binary information encrypted into the loom, where the black and white cloth threads correlate with the original ones and zeroes. When the files are put on display, flashing lights use Morse code to transmit private key numbers that are necessary to decrypt the embedded information. Some of the other exhibits included an excel sheet with the artist’s 2016 budget, digitally projected commercial paintings and tech-based Dungeons and Dragons. Kate Dumbleton, an assistant professor for the SAIC Masters in Arts program who also runs its management studio, says that this event gave students a unique opportunity to create synergy around the combination of art and IoT. “This opportunity allows artists to provide spaces of knowledge different from the traditional approach by bringing fresh, innovative thoughts to the world of IoT,” Kate said. “This opportunity, as well as future ones between the SAIC and the Chicago Connectory, requires a sense of openness and generosity.